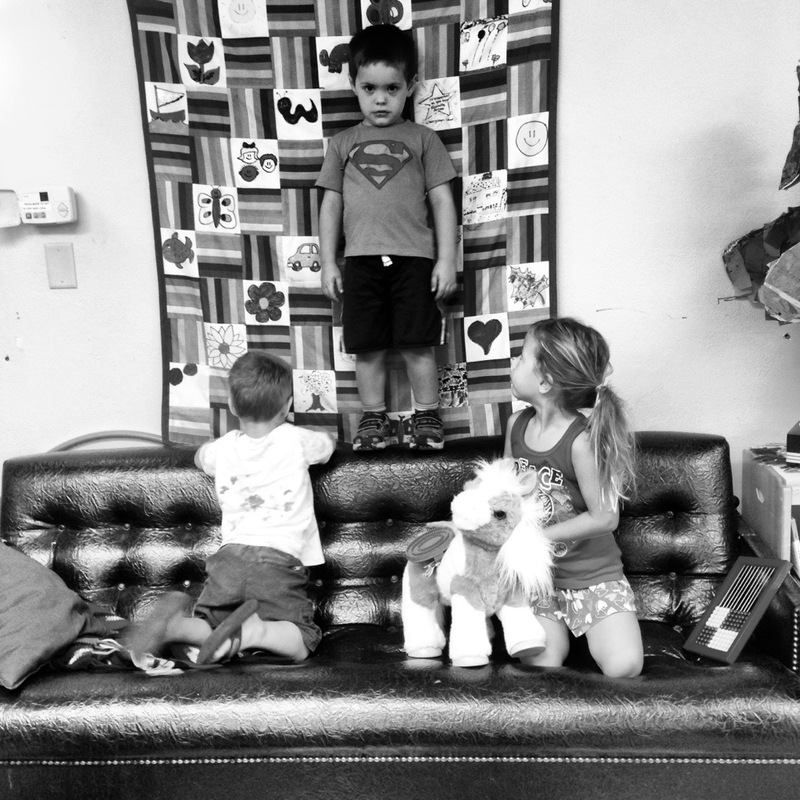 it has started again…a preschool room filled with acts of danger. 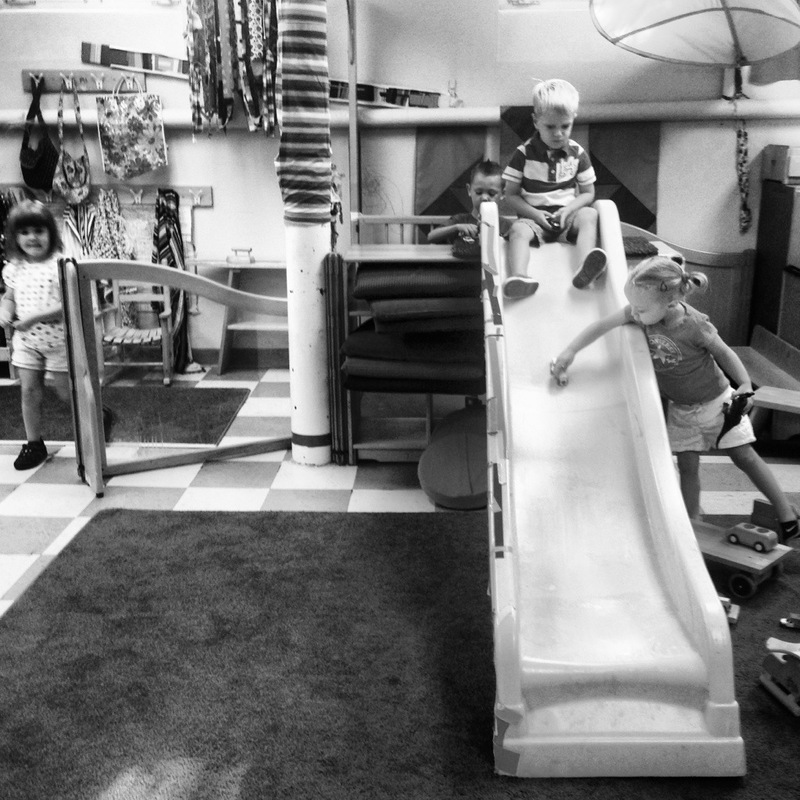 climbing up our indoor slide, getting out of the way just in time, standing on a chair to reach the top of a block structure, sliding across the hard floor in socks….whew. but today I learned about the most dangerous place in our school. I was informed that this is it. 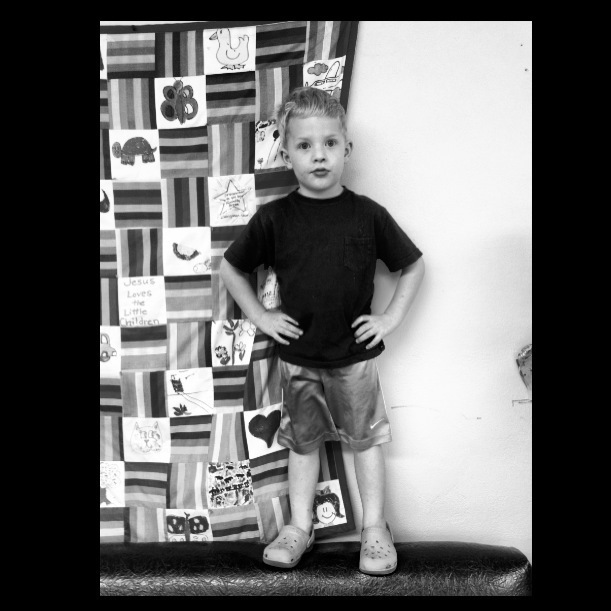 standing on the back of our couch against the rainbow quilt. the most dangerous. Life would be so boring without risk.